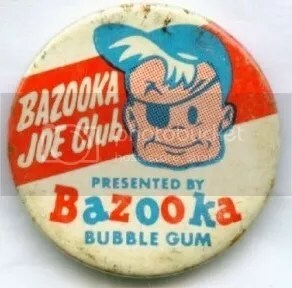 Bazooka bubblegum has been around since 1947. 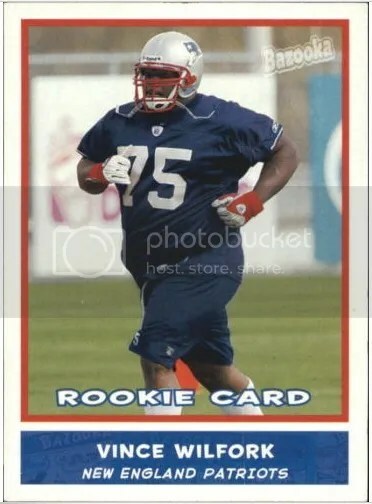 The first time I encountered it was in the early to mid-90s. There was a restaurant around where I live called Twisters. It was made to look like a diner from the 1950s. When you were finished with your meal, the waitress always brought pieces of Bazooka bubblegum along with the bill. Too bad Twisters isn’t open anymore. They had some great food. Like a lot of things, Bazooka had it’s spokesman – Bazooka Joe. Cartoonist Wesley Morse created Bazooka Joe and his Gang after being approached by Woody Gelman who was the head of Product Development at Topps. Comic strips featuring Bazooka Joe could be found inside the wrapper of each piece of gum. Most of the strips dealt with kid friendly jokes. Over the years Bazooka Joe has gone through various changes to keep up with the times. They no longer do comic strips. Now gum wrappers contain brain teasers and codes to unlock games on their website. Bazooka Joe will go down as one of the most recognizable pop-culture characters of the 20th century. In 2013, they released a book all about Bazooka Joe and his Gang. Card collectors have seen Bazooka Joe many times in the past. Topps has created a handful of Bazooka related sports card products. I was never truly a big fan of them. They were very cheaply made, and geared toward kids. Back in the day, there were clubs for everything. This is one of those pins you would receive during the 1960s. They aren’t that difficult to find and only cost a few bucks.